When she was seven, Rachel Manija Brown's parents, post-60s hippies, uprooted her from her native California and moved to an ashram in a cobra-ridden, drought-stricken spot in India. Cavorting through these pages are some wonderfully eccentric characters: the ashram head, Meher Baba, best known as the guru to Pete Townshend of The Who; the librarian, who grunts and howls nightly outside Rachel's window; a holy madman, who shuffles about collecting invisible objects; a middle-aged male virgin, who begs Rachel to critique his epic spiritual poems; and a delusional Russian who arrives at the ashram proclaiming he is Meher Baba reincarnated. 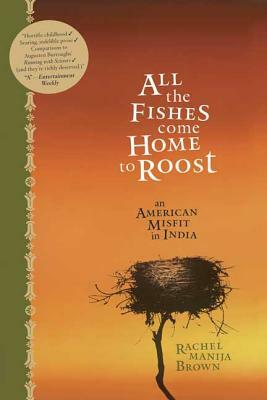 Astutely observed and laugh-out-loud funny, All the Fishes Come Home to Roost is an astonishing debut memoir--now available in paperback--and the arrival of a major new literary talent. The hardcover edition was named a Book Sense Pick and was selected as a Book of the Week by BN.com's Book Club. RACHEL MANIJA BROWN, after returning from India, became the youngest person ever to receive an MFA in playwriting from UCLA. She has written for television, worked in TV/film development for the Jim Henson Company, and has won awards for playwriting, comedy writing, and literary criticism. She lives in Los Angeles.